Pride Plumbing of Rochester has been providing high-quality and cost-effective plumbing services to residential properties in the Rochester, NY, and surrounding areas for over 15 years. From water heaters and sump pumps to plumbing supplies and bathroom remodels, this locally-owned and operated plumber will make sure your toilets, faucets, and drains are always well-maintained and fully functional. Insulated Pipes: Insulated pipes will prevent heat from escaping as hot water moves from the water heater to the faucets. 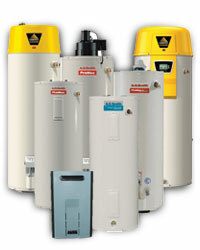 New Hot Water Heaters: After a while, hot water heaters losetheir steam, so replacing and installing new water heaters will increase efficiency and lower energy costs. Low-Flow Showers & Faucets: Low-flow showers and faucets will decrease water usage by up to 60%, which is great for the environment and will lower your monthly bill. Low-Flush Toilets: The average person flushes 28 gallons of water per day. Consider installing a low-flush toilet, which uses up to five times less water for each flush. If you want the best residential plumber in the area, count on the friendly professionals at Pride Plumbing of Rochester to solve all of your plumbing issues efficiently and affordably. Give them a call at (585) 272-7272 today, or shoot them an email at ross@prideplumbingofrochester.com. Don’t forget to visit their website to find out more information about their many plumbing supplies and services.